A&A Tickets Online is an online ticket office for classical music events - opera, operetta, ballet, concerts, special events. 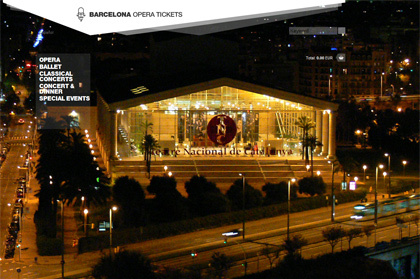 The website presents the most-popular classic events in Barcelona, focusing the user attention on the hall interior and event atmosphere and gives users the possibility to book and buy tickets for the selected events. CC Pixelflower. Some rights reserved.